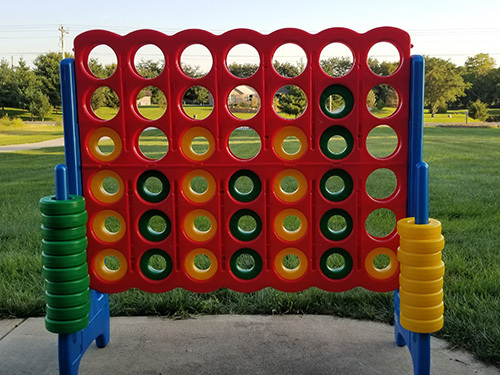 This game is great for the kids to practice their skills, or battle a friend to a friendly competition. Requirements: Inflatable requires a relatively flat surface about 17ft x 12ft within 100 feet of an electrical outlet. 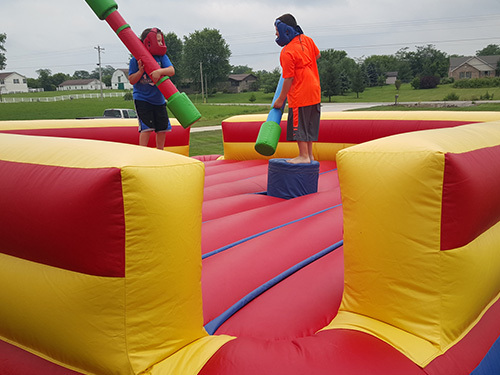 We prefer to set the inflatables up on grass, but concrete or asphalt is acceptable as well. All of our inflatables can be setup indoors upon request, and space requirements can be met. If just bouncing isn’t enough…Or you need an attraction for events with older age groups in mind, try our inflatable boxing ring. 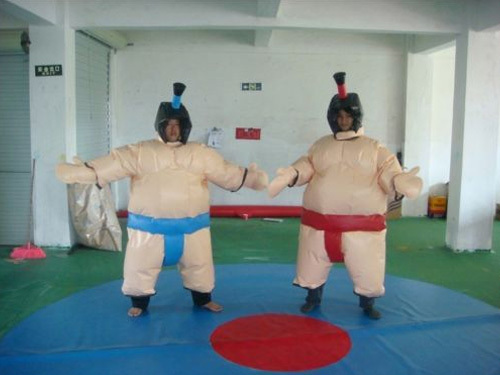 It gives two participates the chance to slug it out with ridiculously over-sized boxing gloves. Requirements: Inflatable requires a relatively flat surface about 18ft X 18ft within 100 feet of an electrical outlet. We prefer to set the inflatables up on grass, but concrete or asphalt is acceptable as well. All of our inflatables can be setup indoors upon request, and space requirements can be met. This is a 500 Gallon unit that is sure to be a hit on those warm days. 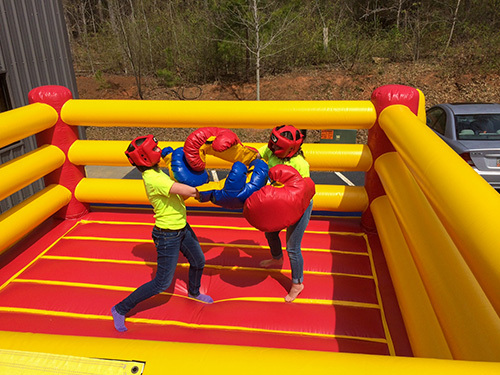 This unit is great for corporate events, schools, churches, and back yard parties. The water is not provided. Requirements: Dunk tanks require a relatively flat surface about 12ft x 12ft. Step up and battle your opponent off the pedestal. First one to be knocked off the pedestal is the loser. This unit is a lot of fun at any party. Requirements: Inflatable requires a relatively flat surface about 27ft X 27ft within 100 feet of an electrical outlet. We prefer to set the inflatables up on grass, but concrete or asphalt is acceptable as well. 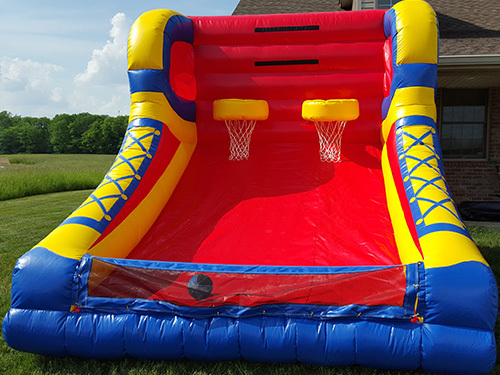 All of our inflatables can be setup indoors upon request, and space requirements can be met. 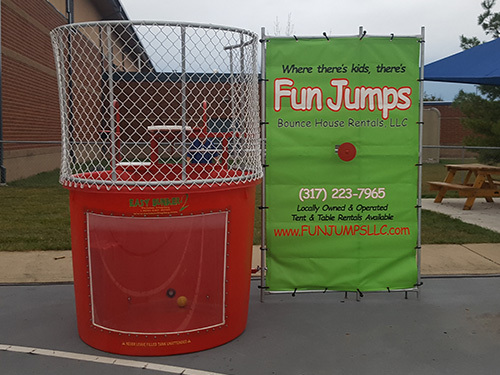 © 2018, Fun Jumps Bounce House Rentals LLC. All Rights Reserved.